Rooms, services Hotel OTP Balatonszemes is offering 54 tastefully furnished rooms to those seeking accommodation in Balatonszemes. With child-friendly services being available the hotel is also suitable for children, and would be pleased to host all members of the family for your stay. You may taste delicious, fresh meals in the restaurant of the hotel every day. If neccessary, you may park your car at the parking place of the hotel for free. You may also enjoy relaxing wellness services on the spot, please check the information sheet for further details. Thanks to air-conditioning being in operation in some of the rooms, you can also easily refresh yourself on warm summer days (please take a look at the information sheet of each room to see if it has air-conditioning). Wireless Internet connection (WiFi) is available at the hotel, ensuring that you can stay up-to-date during your holiday. 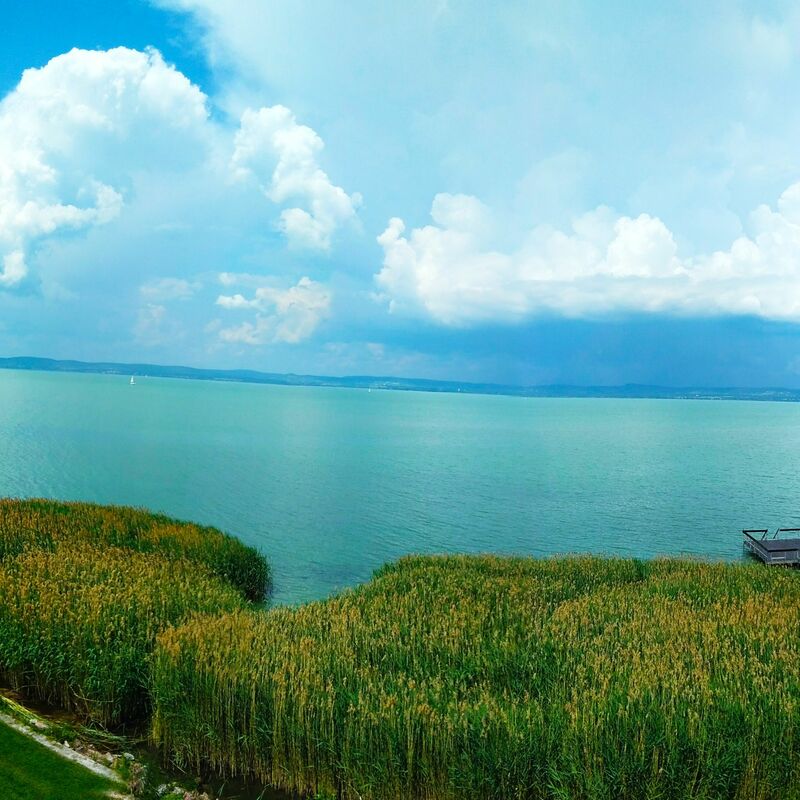 You can find the exact list of services provided by Hotel OTP Balatonszemes (including those for extra fees) and the exact equipment of the rooms on the information sheet below and on the information sheet of the respective rooms. Location Kistücsök Restaurant is 1.3 km, Port of Balatonszemes - Balatoni Hajózás Zrt. 1.6 km, Balatonszemes Marina 1.6 km, Post Museum 1.5 km, Balatonszemes Beach Bath 1.4 km, Latinovits Zoltán Memorial Exhibition 1.5 km, Balaton beach less than 50 meters, Bujdosó Wine Cellar 1.6 km, Berzsenyi Street public beach 1.4 km from the hotel. Catering The display prices include rich, tasty breakfast for every day of your stay. When booking a room, a different type of catering may also be requested, the hotel is offering the following opportunities: breakfast, full board, half board. Payment The following methods are available to pay the reservation: cash, erzsébet gift voucher, bank transfer, debit/credit card, széchenyi recreation card. Arrival, opening hours The earliest check-in time to your room is 14:00, the latest check-out time from your room is 10:00. The personnel can speak Hungarian, English and German languages. The rating of Hotel OTP Balatonszemes is 9.6 from the maximum 10, 1 based on actual and valid guest ratings and reviews.